In March, Canadian healthcare and the arthritis community suffered a huge loss. Dr. Cy Frank, a talented orthopaedic surgeon, skilled researcher, policy maker, and champion for patient, passed away at the age of 65. As an accomplished orthopaedic surgeon practicing for 39 years, scientific researcher, teacher, entrepreneur, and health-system administrator, Dr. Frank will be missed, not only by those who knew him as a friend, mentor and a colleague, but also by all Canadians living with arthritis. He was a leader in the arthritis community, bringing together advocacy groups to improve the lives of Canadians living with arthritis. He promoted teamwork within the arthritis community and patient participation in their healthcare. His many achievements included patenting diagnostic devices, reforming healthcare policy, reducing waitlist times for hip and knee surgeries in Alberta, and leading the way towards Canada-wide models of care. In addition, he published a great number of research papers, books and book chapters, won a number of awards and honours, and was an inspiration and mentor to many. Dr. Frank was an innovator and a visionary with an unwavering passion for improving patients’ lives. His loss has left a void in the arthritis community that will not be easily filled. This issue of JointHealth™ monthly is dedicated to the life and legacy of Dr. Frank. Read on to learn about a man who was admired for his compassion and pursuit of medical knowledge, healthcare innovation and visionary public policy. Designed research project that advanced knowledge of appropriate treatments for certain knee injuries. Conducted clinical studies that determined the best treatments for knee injuries and osteoarthritis. Collaborated on a report that influenced international science funding bodies. Developed a system for drastically reducing wait times for hip and knee replacements in Alberta. Received the Queen’s Diamond Jubilee Medal and the Order of the University of Calgary. Wrote a report recommending ways the federal government could better support and promote healthcare innovation. Received for integrating research and care approaches to the treatment of bone and joint disorders, leading to improved delivery of care for hip and knee replacements in Alberta. Cathy Hofstetter is the 2014 Qualman-Davies Arthritis Consumer Leadership Awardee. Cathy Hofstetter was just starting out as a patient advocate when she first met Cy Frank in 2002 at the Osteoarthritis Consensus Conference in Toronto. She was new to the process and was uncomfortable because she felt she did not know much about osteoarthritis—she lives with rheumatoid arthritis. It soon became clear that Dr. Frank truly valued and embraced patient participation and input. So, in spite of her uneasiness she felt inspired to get fully involved at the event, and even moderated a panel. She and her fellow patient advocates were impressed with the way all the specialists were open to hearing the point of view of patients, but Dr. Frank stood out as the shining star: “He always made you feel comfortable and he would even seek you out for your opinion on things,” said Cathy. To Cathy, his loss represents a gaping hole in arthritis research and care. In her experience and others, he was generous with his knowledge, he never got riled, he was humble, calm, and never came across like he was the important person in the room. “He had no airs of superiority and no ego,” she said. 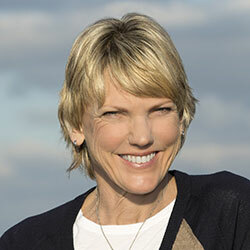 Cheryl Koehn, president and founder of Arthritis Consumer Experts and a person living with rheumatoid arthritis and osteoarthritis, worked with Dr. Frank for many years. He was a friend and a mentor, whom she fondly refers to as “Dr. Sustainable.” That is because Dr. Frank was a strong believer in policy that led to sustainable healthcare. He understood that it did not make sense to build a policy and then only use it once—that it does not serve patients or the healthcare system. Most importantly, he felt that healthcare policy needed to be focused on the person living with diseases involving muscles, bones, and joints. 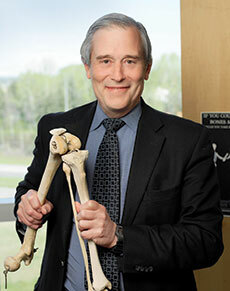 One of Dr. Frank’s many achievements was his work towards reducing hip and knee surgery waitlist times in Alberta. “Cy understood that knowing how the system was broken was critical to fixing it,” said Cheryl. “So he did extensive research to find out what caused waitlists to be long.” One of his discoveries was that patients were staying in hospital longer than they needed after their surgery. The evidence-based standard is that only four days are necessary, but it turned out that, on average, people who had hip surgeries were staying approximately 1.2 days longer and those who had knee surgeries were staying an extra three quarters of a day. To correct this problem, teams were set up to help patients leave within the four days. This resulted in significant cost savings and freed up beds for more patients. As a result of his study, 9 out of 10 patients were up and mobile the day of their surgery. They regained their physical functionality, and experienced less pain after their surgery. 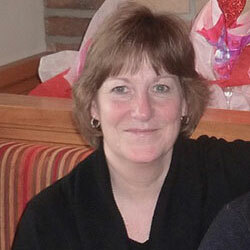 “If you’ve ever been a recipient of a surgical procedure, you’d know that’s a tremendous accomplishment,” Cheryl added. Dr. Frank was the first scientific director of the CIHR’s Institute of Musculoskeletal Health and Arthritis (IMHA), which Cheryl felt was a defining moment in his policy life because it put him in Ottawa, near federal thought leadership and policy makers. Dr. Frank later became a member of the prestigious Canadian Academy of Health Sciences, where he was chairman of a blue-ribbon committee that examined how best to measure the impact and return on investment of health research; the report they produced influenced science research funding bodies around the world. From his research, Dr. Frank developed a patient pathway to healthcare, through the Arthritis Alliance of Canada, that was applied to national models of care plan for inflammatory types of arthritis. Models of care were designed to improve patient care and reduce healthcare costs by involving government, physicians, nurses, patients, the pharmaceutical industry, and allied health professionals (e.g. physical therapists, occupational therapists, and pharmacists) to ensure a coordinated effort from all parts of the health system. “Models of care” is a term that describes a standard for how healthcare services and resources are organized and delivered to patient communities. Models of care will incorporate established best practices and fill potential gaps for patient care, while considering the needs of individual province’s health systems. Over the past 12 months, ACE received unrestricted grants-in-aid from: AbbVie Corporation, Amgen Canada, Arthritis Research Canada, BIOTECanada, Bristol-Myers Squibb Canada, Canadian Institutes of Health Research, the Canadian Rheumatology Research Consortium, Celgene Inc., GlaxoSmithKline, Hoffman-La Roche Canada Ltd., Janssen Inc., Pfizer Canada, Purdue Pharma L.P., Sanofi Canada, St. Paul’s Hospital (Vancouver), UCB Canada Inc. and the University of British Columbia. ACE also receives unsolicited donations from its community members (people with arthritis) across Canada.